Comments Off on Best Cleveland Indians bar in Los Angeles! Come watch playoff baseball with us. Comments Off on SCBBA to host official Cleveland Browns Backers Party, December 2nd in Los Angeles, with Eric Metcalf as Special Guest! 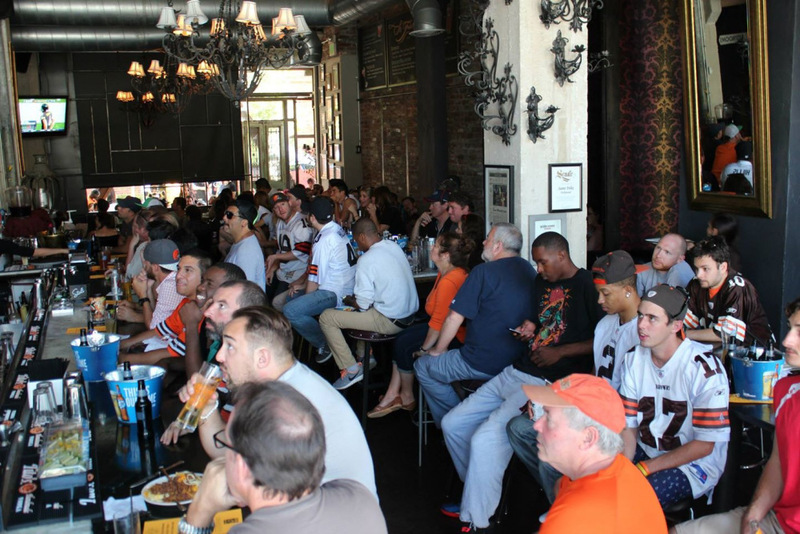 Our LA viewing site, The Kardiac Kids Lounge @ Saint Felix Hollywood, begins it’s 14th year hosting Cleveland Browns games. ALL TV’s & SOUND THROUGHOUT VENUE are dedicated to the Orange & Brown – NO OTHER TEAMS! They’ve even got a Cleveland-centric Game Day Menu featuring… the Polish Boy , the Cleveland Burger – Roman Style, Parma Pierogies and Lake Erie Bloody Mary’s! Doors open at 9:15am. Game starts at 10am. First Come First Serve…EARLY ARRIVAL IS HIGHLY SUGGESTED! We’re happy to announce that on Saturday, October 3rd @ 7PM the Browns Backers from SoCal, San Diego and the Bay Area will be co-hosting an event for all the Browns fans in town the night before the big game vs the Chargers. Special guests include Kevin Mack and Earnest Byner, plus another 3rd big name to be announced soon. All ages welcome. All proceeds from ticket sales to the event will be donated to charity, split between The Cleveland Browns Foundation and The Ronald McDonald House. From world-renown artist Danny Day. Buying a ticket to the Saturday Backer’s Bash will get you FREE entry into the tailgate area on Sunday. Entry into tailgate area will be $10 on game day. 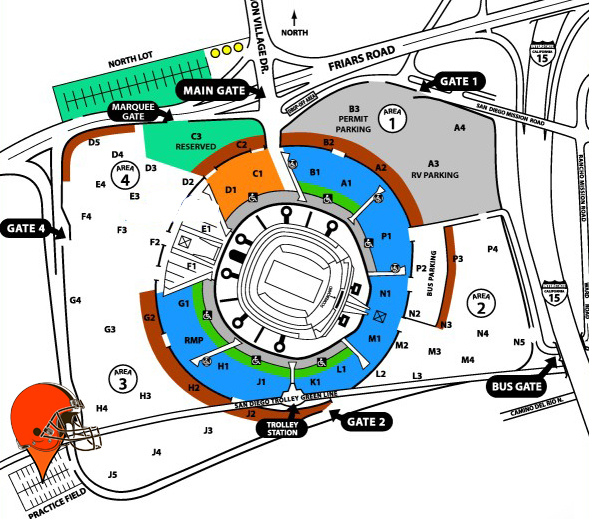 You can pre-buy this $10 tailgate entry as well if you don’t want to wait in line on Sunday.